We deliver to most areas of the UK. We offer FREE local delivery on all furniture within the Brighton & Hove area. Delivery charge is 15% of your total order. This is capped at £40, so you will never pay more than this regardless of how many items you purchase! Minimum charge is £5. Delivery charge is 30% of your total order. This is capped at £80, so you will never pay more than this regardless of how many items you purchase! Minimum charge is £10. Smaller items are delivered using Parcelforce or similar courier. This is usually a fairly quick service and will normally be with you within a week, sometimes as quick as 48 hours. 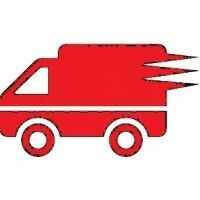 Wherever possible we deliver the larger items ourselves, using our own vehicles and drivers. We do this to various locations around Brighton and Hove, and further afield whenever possible. This may be a one- or two-man delivery depending on circumstances. For the larger items, where we can’t deliver ourselves, we use a special one-man delivery service, so with particularly heavy items your assistance may be required. This service usually takes between 14 and 28 days depending on your location. We can sometimes offer a two-man delivery but this can take a little longer and will incur extra charges. Most of the vehicles have a tail lift, and the drivers carry blankets, wheels and a ramp for ease of delivery. We always fully wrap the furniture before sending, and use corner protection. Please be advised that it is your responsibility to measure and make sure that your purchases will fit into your house, through gates, doorways and into the space planned for it. Our delivery people are experienced and will do all they can to get it in, but if they are unable to, we cannot offer a refund for any part of the delivery or return. Please note – the delivery company will contact you to book in the delivery direct with yourselves. Please make sure you will be home to accept delivery because any failed delivery will incur a failed delivery charge with the delivery company and you will be responsible to pay this. As we subsidise majority of the costs you may find this cost higher then you initially paid.